Abu Dhabi: The currency swap deal between India and the UAE will enhance and strengthen trade relations between the two countries, a senior official from the Ministry of Economy told Gulf News. “These agreements and upcoming agreements in many areas will enhance and strengthen trade relationship with India,” said Juma Mohammad Al Kait, assistant undersecretary for foreign trade affairs in the UAE’s Ministry of Economy. India and the UAE signed currency swap agreement on Tuesday to boost trade and economic relations between the two countries. The agreement is expected to reduce the dependency on hard currencies like US dollar and give a push for the local currencies of the two nations. It will also reduce the impact of volatility in exchange rate arising from the dependency on a third currency, Indian embassy said in a statement. The swap is for an amount of Dh2 billion or Rs35 billion, depending on the central bank which is requesting the amount. 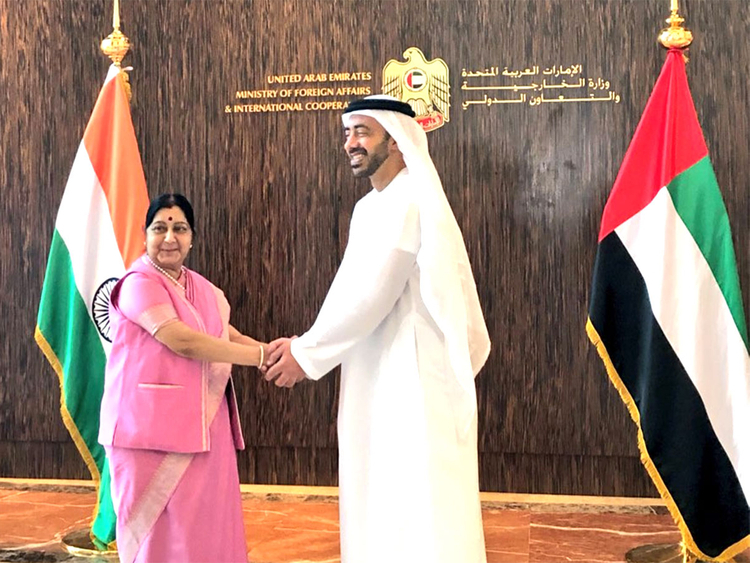 The signing of the agreement took place following the visit of India’s external affairs minister Sushma Swaraj to the UAE to hold discussions with the top leadership for boosting economic and trade relations between the two countries. Currently there are strong economic and trade ties between India and the UAE with bilateral trade standing at $52 billion in 2017, with non-oil trade accounting for $34 billion. India’s FDI into the UAE last year was $6.6 billion while the UAE’s investment in India stood at $5.8 billion. The two countries are also cooperating in a big way in the energy sector.